“Heavy Hitter”, Bob Wansink audio messaged me some great questions regarding speed and power training via Anchor.fm, and this Heavy Hitters Podcast is a direct reply. In this episode, I share the 5 exercise categories I use in every resistance training session that I program. Welcome to the Heatrick Heavy Hitters podcast. 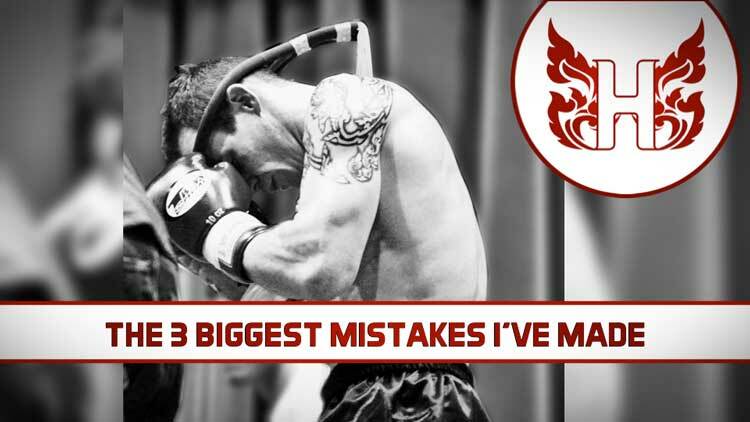 Muay Thai has become your passion. You want to stop wasting opportunities. You want to leave your mark. You are a… Heavy Hitter! Together we are the movers and shakers of the Muay Thai community, those challenging themselves on a daily basis to become more. 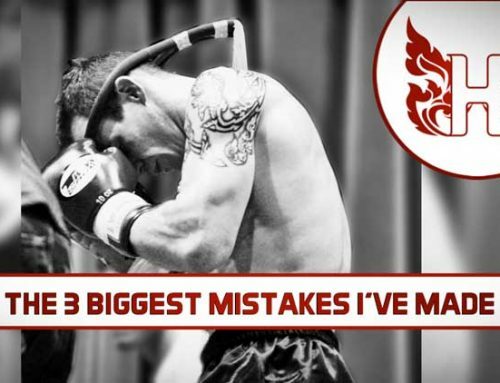 Challenging Muay Thai to become more! 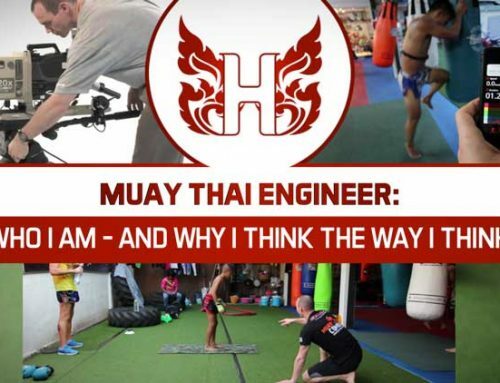 Heavy Hitters are the Thai boxers and coaches of all levels looking for the most efficient and effective Muay Thai performance training-strategies and tactics to level up. I’m Don Heatrick, and my mission is to share with you just that! 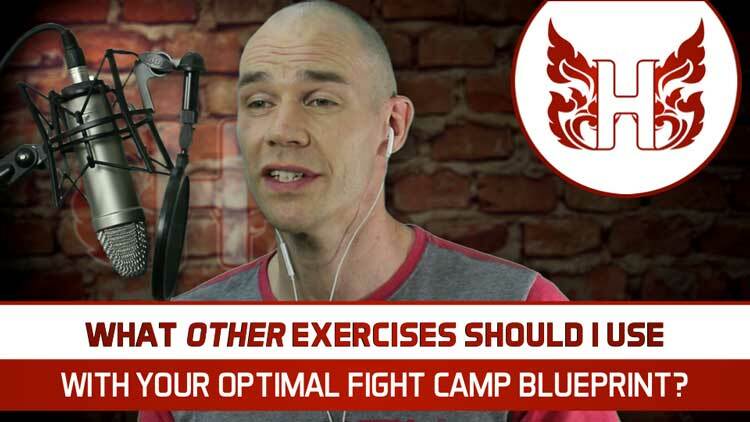 And Today, I’ll answer questions on how to successfully structure speed and power training into your program, and explain the 5 exercise categories in a fighter’s resistance training session. “Hi Don, this is Bob from the Netherlands. You’ve asked me to send you a voice message, so here it is! “First off good all luck with your elbow, I hope you will recover soon. Secondly, thank you very much for all your extensive information on your website. I was looking for the holy grail, incorporating all kinds of exercises into one training, or find one sport that has it all. To become faster, stronger and more explosive. 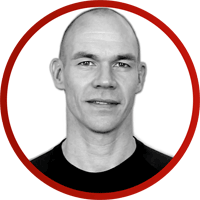 “But reading many of your articles and seeing a lot of your videos I realise it’s not efficient to do all of that in one training, unless you don’t have enough time of course. “Well now I know how to plan my supplemental training thanks to you. But I do have a couple of questions, and I hope that you are willing to answer them for me. “In your article “Training for Strength, Power and Speed” you mentioned a couple of exercises per velocity. My question is what should be the training routine for them. Like you mentioned for the strength part, that you recommend the 3 to 5 series, meaning 3 to 5 exercises, 3 to 5 sets, 3 to 5 reps and 3 to 5 mins rest… and what do you recommend for the power part in the power block, and for the speed part in the speed block? Ok, there’s quite a bit there, and Bob references an article and a video on the heatrick.com website, which I’ll link into the text transcript for this podcast episode so you can close the loop a little (see the end of this post). First up, regarding power and speed training sets, reps and rest intervals, it’s exactly the same as strength training. They are all neuromuscular, anaerobic alactic activities, and the 3-5 rule applies to power and speed training too. For speed training involving lighter, faster movements (such as 3kg med ball throws) can go up to 10 reps. The key criteria is that you can finish the last rep as quickly as the first one. If you can’t, then you’re doing too many reps, or the load is too high, which means you’re not developing maximum velocity any more. For some speed drills, like sprints for example, I’ll use a 10-second limit for practicality instead of of the rep limit. The pie charts that Bob refers too are from another of my videos. I used that to explain the emphasis shift in the amount of volume-load of strength, power and speed exercises in each block of training. To save me repeating that same content, do go and check that link on the transcript page for this episode at heatrick.com. 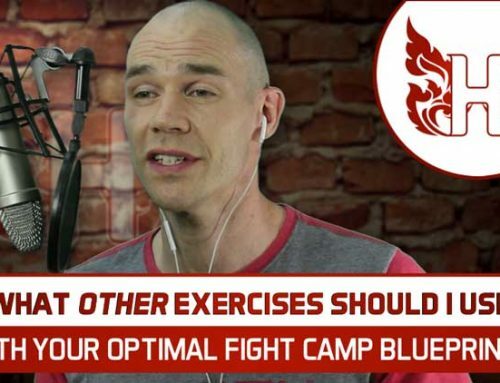 I recommend that fighters use a concurrent approach to their supplemental training, using strength exercises such as deadlifts, squats, presses and pulls, power exercises such as Olympic lift variations, loaded jump squats and kettlebell swings, and speed exercises such as box jumps, plyometrics, hurdles and med ball throws all programmed together, all the time. But! And it’s a big but! An equal emphasis on all of them, all the time, won’t work. It’s just too much variation for your body to adapt to and get better. Instead, we work more sets, reps and relative intensity of the exercises that develop one quality, and keep maintenance levels for the other two – so they don’t detrain and drop off. Imagine we’re spinning plates, it’s like focusing on getting your strength plate spinning as fast as possible, while just keeping the power and the speed plates going enough that they don’t fall off! We then move onto a power focus, getting that plate spinning as fast as possible while giving the strength and the speed plates just enough attention that they don’t fall off. Then finally we focus on getting that speed plate spinning, while making sure the strength and power plates don’t fall! And that’s the progression we use moving towards your fight, a strength emphasis block, followed by a power emphasis block, and finally a speed emphasis block. This will peak your best performance for your fight, turning your increased strength into explosive power and finally speed. Now, rabbit hole alert! We’re about to go deeper! Those pie chart emphasis ratios I suggested for each quality in each block – to get the plates spinning at the right rate – they relate the volume-load of each exercise category in your training plan. That’s the number of sets, times the reps, times the load for each exercise. Now my mechanical design engineering background means I calculate all this and adjust the mix for each training block to get it just right! That’s just the way I work! Those training volume-load ratios should tally up for each week. And it’s entirely up to you how your spread those exercises over the week. 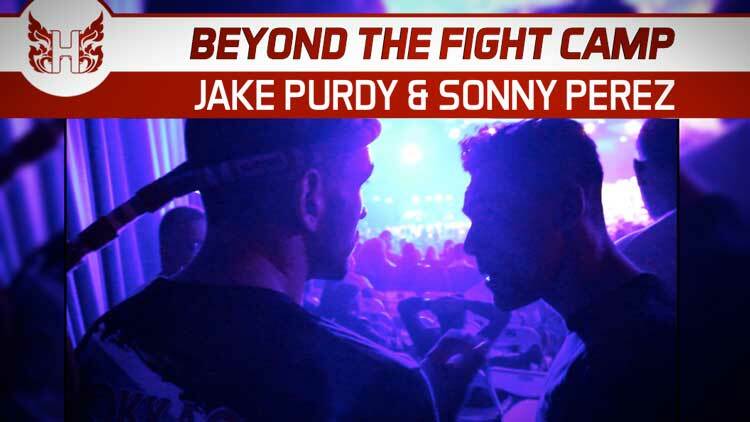 You can place them in different sessions on different days, but I find it’s most practical for fighters to do them all in one session, over two sessions each week. 1) I begin with a section of foam rolling and mobility exercises. 2) Next some activation and movement preparation exercises to begin ramping up movement patterns, specifically chosen to prepare for the rest of the exercises coming up in the session. 3) Then I’ll move into the speed exercise sets, while you are still fresh and moving at your fastest to get the most benefit from them. 4) Next will be the power exercise sets, moving explosively against heavier resistance. 5) And finally the strength exercise sets, moving at your slowest against the heaviest loads. In this way we move from the fastest and most technically challenging exercises (while you are freshest and most capable), to the slowest and least technically demanding as your fatigue builds throughout the session. That way we squeeze the best out of your training session and don’t waste any time and effort. So I hope that helps you out Bob, and all you other Heavy Hitters too! When it comes to planning which sessions go where in your training week, there’s a free cheat sheet download to help you out over at Heatrick.com, that’s H E A T R I C K, where you can find ALL the Heavy Hitters resources, articles and videos. Including a transcript of this podcast, and any links I’ve mentioned in this episode too. And there’s a link to that transcript page along with this podcast. Don’t forget to subscribe to the Heatrick Heavy Hitters podcast on iTunes, stitcher, anchor or wherever you get you podcasts – and you can audio message me on Anchor.fm too just like Bob, so you can feature in future episodes. Heavy Hitters, I challenge you to discover, practice, and become! And I’ll catch you next time. Planning Your Training Week CHEAT SHEET! 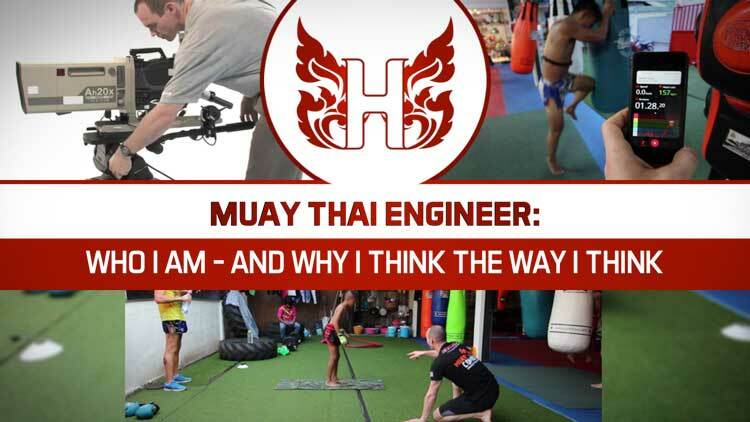 Don Heatrick is a family man from the UK, former mechanical design engineer, European Muay Thai silver medallist, former pro Thai boxer (ranked 4th in UK while aged 40-years), and the go-to expert on Muay Thai strength and conditioning with over 25 years of coaching experience. 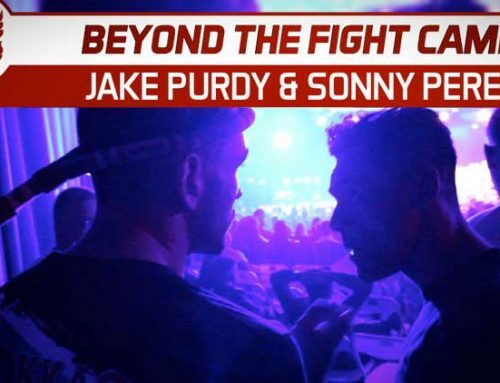 His mission is to take the sport of Muay Thai to the next level and build the next generation of complete fighters. This means helping you (or your fighters) reach the top of the sport, and one day become champions. GRAB THIS FREE TOOL TODAY! Would you give us 5-stars?..